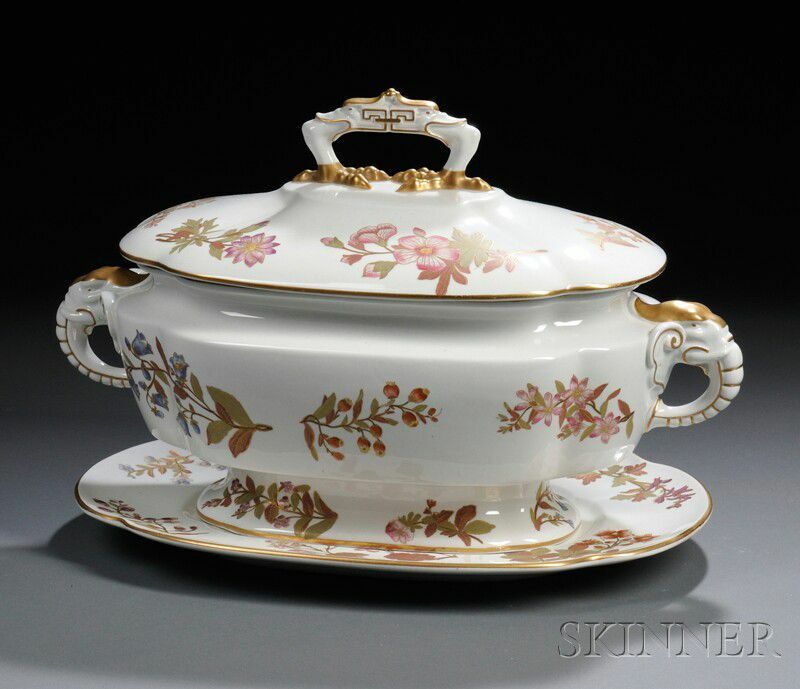 Royal Worcester Porcelain Covered Tureen on Stand, England, c. 1887, molded elephant-form handles and duck-foot knop, pearl-colored ground polychrome enameled and gilded with sprays of flowers, printed mark, handle to handle lg. 15 3/4 in. 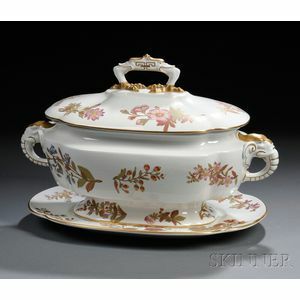 Slightest gilt rim wear to tureen; no other cracks, chips or restorations.